There is no option to open chart if I open stock widget from my position tab. So I need to back to Watchlist to open chart. This will be available in next release, which will be out in next 3 days. 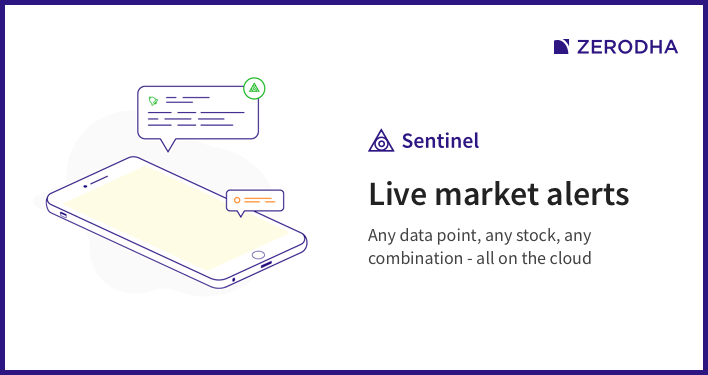 As available on Tradingview site. Thank you for the update @siva. May not be possible for now. 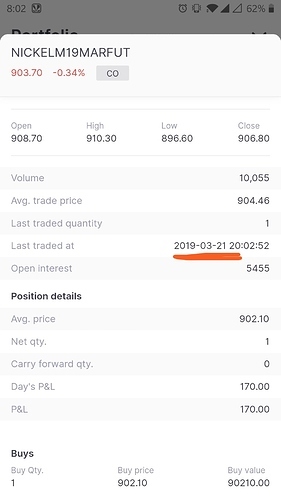 @nithin please do remove the date in last traded at as shown in the below picture. Suddenly we think it as expiry. Display only time it will be best. 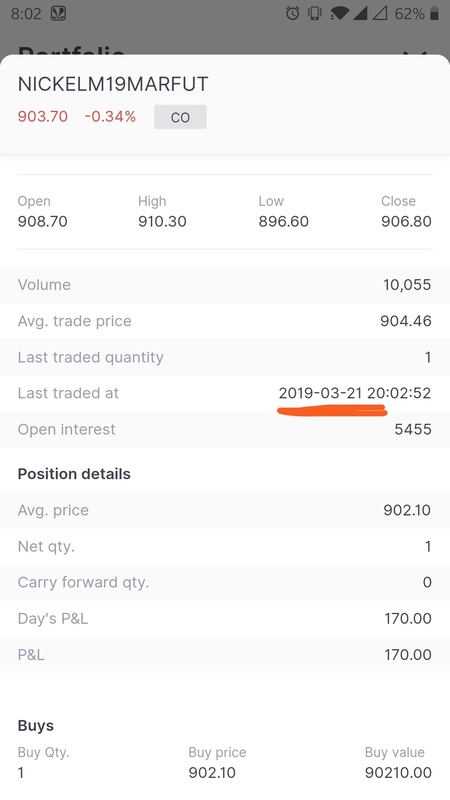 please do remove the date in last traded at as shown in the below picture. Suddenly we think it as expiry. Display only time it will be best. Portfolio tab should also have the option to open charts. Currently we need to go back watchlist to open charts. It will in next release. Any plan for making a Night Mode for the app? Because in normal mode it is difficult to use the app for longer duration during trading hours. 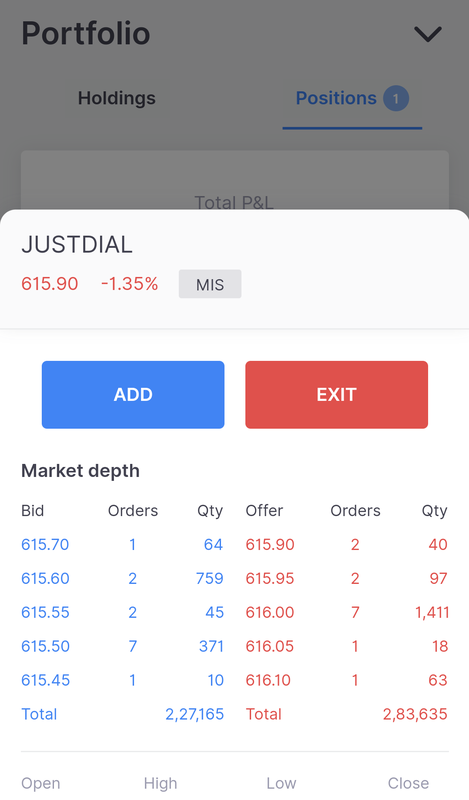 @nithin @siva if possible please do introduce always on notification bar with positions real-time profit/losses displaying in it. Once we click on the notification bar directly it should got to positions. I think by integrating this feature you can also make kite mobile app always running on background. So that each and every time while we open the app it will decrease the time taken for loading the app. Yes, will be out in few days. if possible please do introduce always on notification bar with positions real-time profit/losses displaying in it. Once we click on the notification bar directly it should got to positions. I think by integrating this feature you can also make kite mobile app always running on background. So that each and every time while we open the app it will decrease the time taken for loading the app. Why one want to see pnl all the times, it will be a distracting one and not let them concentrate on trade, instead worry about pnl. Any possibility of a good till cancel order type in kite 3(android)?? Not in kite3 app but soon, couple of months more.